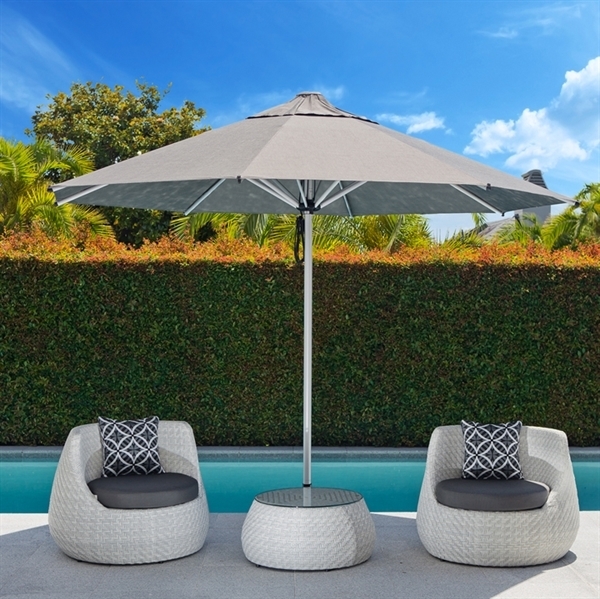 This heavy duty 13 foot octagonal premium market umbrella is made with high-quality materials such as 9 oz. Sunbrella marine grade fabric and 2" diameter extruded aluminum mast. 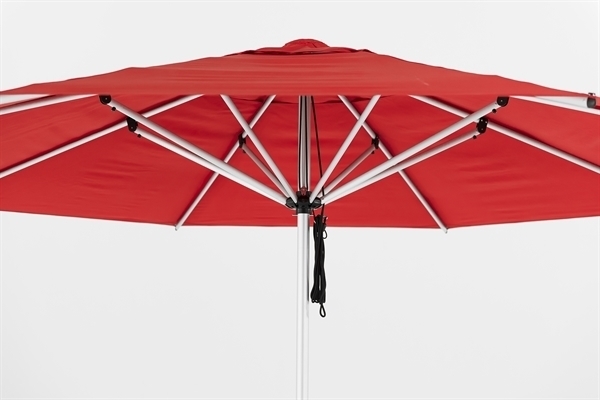 Our premium umbrellas are the perfect size between a large cantilever and market umbrella. 13' x 13' Octagonal Canopy made of 9 oz. 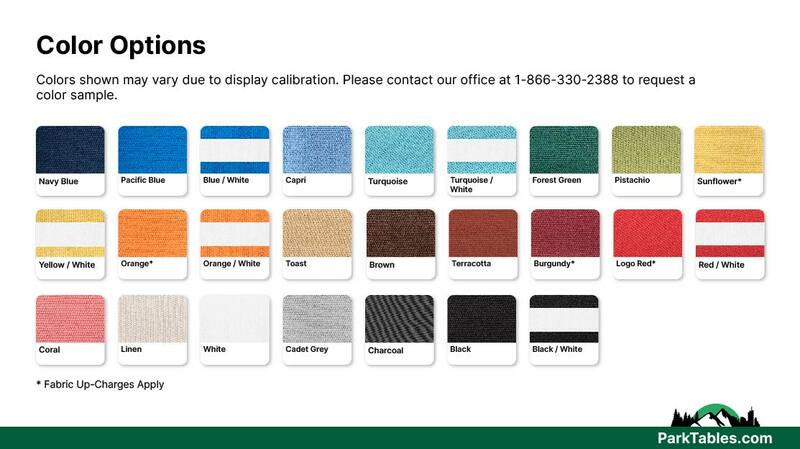 Sunbrella marine grade fabric. 2" diameter mast made of extruded aluminum. Pulley and Pin system that is easy to use. 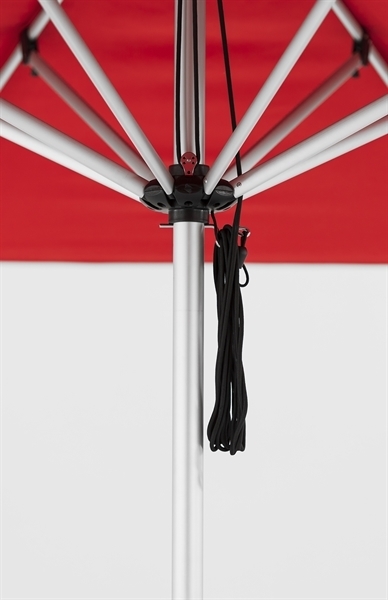 5 year warranty on the canopy fabric.